There are a few signs that you’ve lived in Singapore way too long: (1) the 32 degrees (celsius) in ‘winter’ feels significantly cooler than the 32 degrees in summer and you find yourself reaching for a cardigan (or ‘jumper’ as we say in Australia). (2) You pronounce the number ‘three’ as ‘tree’ and pluralize words that are already plural eg underwears, and (3) you have a profound fear of the sun. This fear of the sun will have you wearing long sleeves during the day, using umbrellas when it is not raining, and pavement-stepping like Jack Nicholson in As Good As It Gets in search of bits of shade to protect every other exposed part of you from those rays. You are prepared to fight people for that shade. In Asia, and historically, a tanned skin indicates you are of a lower social standing, the assumption being that wealthy educated people work indoors while poor people have no choice but to work outdoors in more menial roles. Asians love white skin, envy it, and cannot understand that we Caucasians would intentionally tan it. The majority of skin products available here include whitening agents whether you want it or not, and skin whitening spa treatments are a lucrative business. And to advance the process, you can take Crystal Tomato© and other pills to whiten yourself from the inside out. I grew up in Australia where my misspent youth was devoted to sun worshiping doused in coconut oil or baby oil. That was how we spent the most part of our holidays at the beach or the pool. A tan was a sign of good health and fitness. Historically, in western societies it was also associated with prosperity ie you have the time and income to be laying around in the sun, while white skin was associated with being sick or elderly. So when we first arrived here 10+ years ago, we were amazed to have our condo pools to share with just a few other Australians and Europeans. The locals and Japanese expats only came out after 4pm if the sun had passed and even then they were still covered head to toe. This seemed like a perfect arrangement. It took a couple of years for me to realize there was a direct correlation between sun and aging after attending a joint birthday party for a 40-year-old Singaporean woman and 40-year-old Australian. They did not look the same age; more like a decade separated them. And so today, I am as Singaporean as you can get and I will walk the extra distance if it means I am out of reach of that demon sun. Back in 1978 when Grease was the word, I was on a school tour bussing our way around Tasmania. Grease the movie had just come out and like everyone else in the day we were obsessed with it, in particular, the music, featuring our very own Olivia Newton-John as Sandy. The soundtrack went into the bus cassette player and stayed there on repeat for 10 days. Imagine how traumatised that poor bus driver would have been by the end of our tour, probably his last. Earlier this month, we saw Grease the stage production at Marina Bay Sands here in Singapore, and it was sensational. I did not realise it at the time but Gretel Scarlett who plays Sandy is from our hometown of Rockhampton! Grease is of course now officially iconic – 36 years on and grease is still the word with sold-out audiences the world-over. 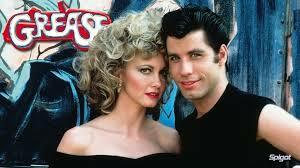 In the USA, Grease (the movie) is still the #1 highest-grossing musical of all time. Interestingly, the sequel with a different cast was a flop which probably surprised everyone given the immense success of the original but it is a lesson we see often whether it is movies or books. The temptation to repeat phenomenal success with a sequel is understandable and it is often only with hindsight that it becomes clear that the original cannot be duplicated because its unique elements combined ie actors, story, production, music equalled the magic formula that everyone hopes to find but most simply stumble upon it. The other difficulty for sequels is that they are inherently burdened with the expectation that did not weigh down the first in a series. More often than not, they do not measure up and rarely do they exceed the first. The Matrix sequels, especially the third instalment, in my opinion, had a difficult mountain to climb after the first movie which was an original concept with a plot that left you wondering about reality. The sequel to Bridget Jones’ Diary suffered a similar fate and is a perfect example of producers wishing to ‘bottle’ the magical formula they stumbled upon to feed it back to the audience for a similar outcome. However, the fine balance of success elements in the first Bridget Jones movie were over-delivered in the second turning the cleverness into silliness and the relatable into contrived according to critics. I still enjoyed it but not nearly as much as the first. The magic that is success is after all a formula – that means each element has to be added in precise parts; the slightest bit too much of one and/or not enough of another creates an altogether different proposition which won’t necessarily appeal to the audience that loved the first. Many claim to know the secret formula to success yet no matter what industry you view, even the most successful stumble along the way proving it’s still very much a guessing game, some are just better guessers.